It was another great season for lower- and middle school athletes! VA (Grades 7-8) Girls Volleyball: The Varsity A team, coached by Diana Melendez and Stephanie Coleman, finished as LEAGUE CHAMPS in the WBAL with a record of 7-1. Team awards went to Emily Cheng, grade 8 (Eagle), and Julia Yusupov, grade 7, and Laruen Beede, grade 8 (Coaches). VB (Grades 7-8) Girls Volleyball: The Varsity B team, coached by Xiaofeng Foret, finished in third place in the WBAL with a record of 5-2. Team awards went to Rachel Abellera, grade 8 (MVP), Hannah Grannis, grade 7 (Eagle) and Anvitha Tummala, grade 7 (Coaches). VB2 (Grades 7-8) Girls Volleyball: The Varsity B2 team, coached by Josh Miller, finished in sixth place in the WBAL with a record of 3-4. Team awards went to Anu Selvaraj, grade 8 (MVP), Aria Wong, grade 7 (Eagle) and Ayla Tanurhan, grade 8 (Coaches). JVA (Grade 6) Girls Volleyball: The Junior Varsity A team, coached by Tina Mai, finished in fifth place in the WBAL with a record of 2-4. Team awards went to Tara Ozdemir (MVP), Leyla Artun (Eagle) and Sarah Leafstrand (Coaches). JVB6 (Grade 6) Girls Volleyball: The Junior Varsity B6 team, coached by Sarah Bell, finished as LEAGUE CHAMPS in the WBAL with an undefeated record of 6-0. Team awards went to Michelle Liu (MVP), Emily Tan (Eagle) and Elizabeth Shchegrov (Coaches). JVB1 (Grade 5) Girls Volleyball: The Junior Varsity B1 team, coached by Ellie Pereria, finished in second place in the WBAL with a record of 5-1. Team awards went to Clarie Chen (MVP), Shea Bryden (Eagle) and Lexi Nishimura (Coaches). JVB2 (Grade 4) Girls Volleyball: The Junior Varsity B2 team, coached by Sydney Voss, finished in ninth place in the WBAL with a record of 0-6. Team awards went to Kate Grannis (MVP), Margaret Cartee (Eagle) and Masha Velikhovskaya (Coaches). LS Intramural Girls Volleyball: Team awards went to Emily McCartney and Maggie Yan, both grade 4 (Eagle), and Emma Cai, Ceren Erdogan and Cecilia Yang, all grade 4 (Coaches). The team was coached by Maria Maldonado. VA (Grade 8) Boys Volleyball: The Varsity A team, coached by Pete Anderson, finished as LEAGUE CHAMPS in the ADAL with an undefeated record of 8-0 and an overall record of 9-0. Team awards went to Jeffrey Kwan (MVP), Vedanth Sundaram (Eagle) and Vance Hirota (Coaches). JVA (Grades 6-7) Boys Volleyball: The Junior Varsity A team, coached by Pete Anderson, finished in second place in the ADAL with a record of 6-2. Team awards went to Marcus Page, grade 6 (MVP), Avery Young, grade 7 (Eagle) and Sujith Pakala, grade 6 (Coaches). VA (Grades 7-8) Baseball: The Varsity A team, coached by Jeff Paull and Matt Arensberg, finished in fifth place in the WBAL with a record of 1-4 and an overall record of 2-4. Team awards went to Nicholas Coulter (MVP), Marcus Anderson (Eagle) and John Lynch (Coaches), all grade 7. JVA (Grades 6-7) Baseball: The Junior Varsity A team, coached by Jon Cvitanich and Richard Amarillas, finished in fifth place in the WBAL with a record of 0-3-1 and an overall record of 0-5-1. Team awards went to Richard Amarillas, grade 6 (MVP), Chirag Kaushik, grade 6 (Eagle) and George Wehner, grade 7 (Coaches). JVB (Grades 4-5) Baseball: The Junior Varsity B team, coached by Dan Pringle, Randy LeGris and Kristian Tiopo, finished in fourth place in the WBAL with a record of 2-4. Team awards went to Frederick Hoch, grade 5 (MVP), Tyler Beede, grade 5 (Eagle), and Wyatt Cote, grade 5, and Ashwin Kuppahally, grade 4 (Coaches). VA (Grades 6-8) Water Polo: The Varsity A team, coached by Ted Ujifusa and Allie Lamb, finished with a WBAL record of 0-5 and an overall record of 1-6. Team awards went to Cassandra Ruedy, grade 8, and Bayden Yazalina, grade 7 (MVP), Anna Arnaudova, grade 7 (Eagle) and Chloe Affaki, grade 7 (Coaches). VA (Grades 6-8) Tennis: The Varsity A team, coached by JP Fruttero and John Fruttero, finished as LEAGUE CHAMPS and TOURNAMENT CHAMPS of the WBAL with a record of 7-0. The team also finished as LEAGUE CHAMPS of the MTP with a record of 4-0. 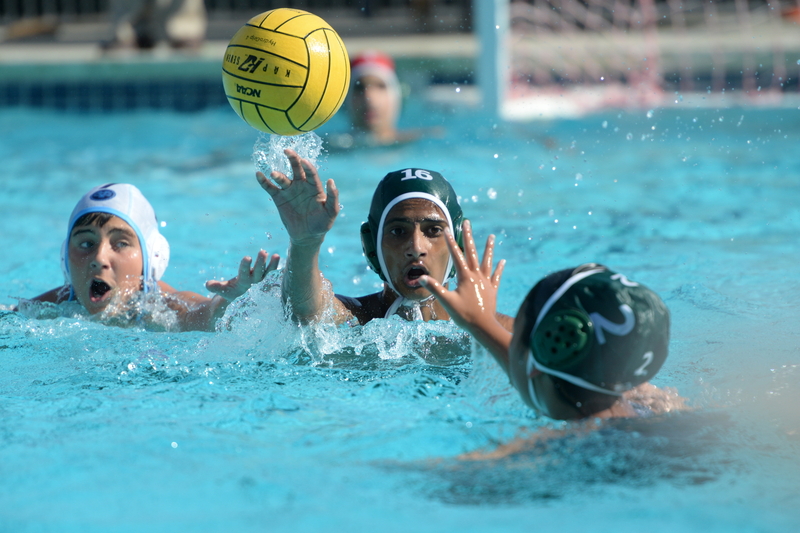 In the MTP playoffs, Harker lost 5-4 to Kennedy in the finals. The Eagles finished the season with an impressive 13-1 record. Team awards went to Mihir Sharma and Ramanand Vegesna (MVP), Simar Bajaj and Gina Partridge (Eagle), and Jack Hansen, Bryan Wang and Rachel Broweleit (Coaches), all grade 8. VB (Grades 6-8) Tennis: The Varsity B team, coached by Matt McGee, JP Fruttero and John Fruttero, finished as LEAGUE CHAMPS and TOURNAMENT CHAMPS of the WBAL with an undefeated record of 6-0 and an overall record of 8-0. Team awards went to Fonda Hu, grade 7, and Shika Tseitlin, grade 6 (MVP), Dawson Chen, grade 6 (Eagle) and Alexander Liou and Dhruv Saoji, both grade 6 (Coaches).